The human spine is an amazing structure – its supports us throughout our lives with strength and flexibility. Unfortunately, it also is one of most common areas in the body to wear out and cause pain and dysfunction. The spine consists of 24 vertebra (7 cervical, 12 thoracic and 5 lumbar) and the sacrum, or “tailbone”. 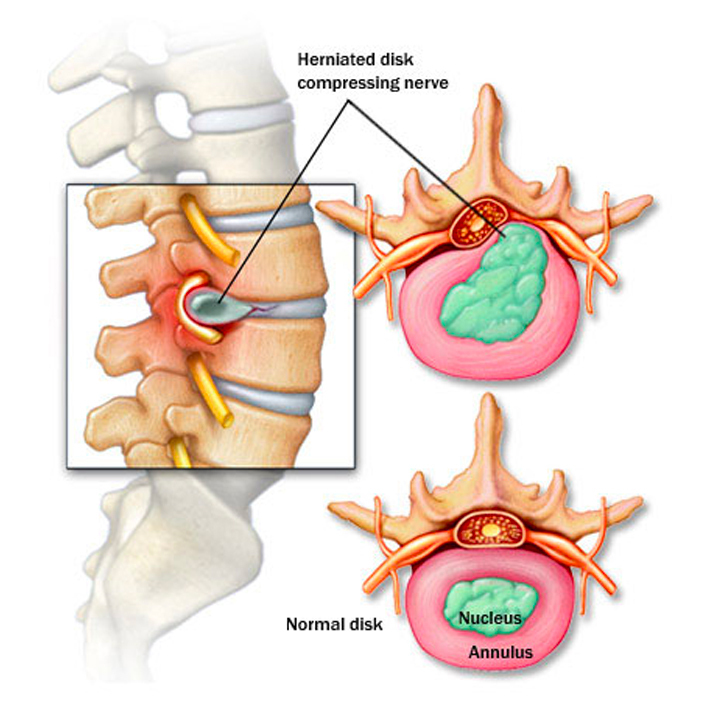 Between each vertebra is a tough and flexible “shock absorber”, the intervertebral disc. The posterior part of the vertebra is made up of spinous processes (the ‘bumps’ you can feel under the skin), the lamina and connecting these on each side are the facet joints, which give the spinal column extra stability. The vertebra have a central canal through which the spinal cord runs down from the base of the brain and at each spinal level gives off one nerve on each side that exits through a small canal between the vertebra, called the foramina. Running down the whole spine are powerful muscles known as paraspinal muscles. Any of these anatomical features can be the source of pain or neurological compromise.